Website pagespeed has become one of the hottest and most discussed topics among publishers and site owners over the last few years. With the rise of mobile and backing from Google, there is a new era of pagespeed obsession taking place. But, which pagespeed insights are most important and what is Google really looking at when they talk about site speed. Read my manifesto on actionably improving website page speed here. Since the launch of Google Pagespeed Tools and the hard push from Google regarding the need for faster pages, publishers and site owners have been doing everything they can to shave seconds off of their page load speed. Unfortunately, most sites really don’t understand how pagespeed actually works, how Google measures it, or how it is impacting modern SEO. In the text below, I’ll give you examples of how pagespeed is affecting your search results (HINT: It is absolutely not the way you think it is). As a Google Certified Publishing Partner, I’ll share with you the little-known details regarding how Google is looking at your pagespeed and how you can avoid common measurement pitfalls. It would really be great if you could throw your URL into a tool like Google Pagespeed Insights, Pingdom, or any number of other page load estimating applications, and then have that metric be the rock hard score that Google would use inside of their search algorithm. Sites could then do everything they possibly could to get their score to 100/100 on those tools and then rest well at night knowing they’ve done everything possible to optimize their site for pagespeed. Unfortunately, this is absolutely not how it works… at all. This is a really common misconception. Google’s pagespeed insight tools are really meant to help site developers identify things that are technically slowing down their site (i.e. bad scripts, robots.txt settings, poor server response times, image sizes, etc.). These physical scores actually have no connection whatsoever to your search ranking (no matter what tool you use). This doesn’t mean there isn’t a correlation between these scores and how Google’s search algorithm takes site speed into account, though. These tools are actually just a small piece of the puzzle. Consider them as a crude thermometer. You want your temperature to be normal, but if it’s elevated, you need to conduct further tests to truly identify if it’s something you should be concerned about. Before moving on to exactly how Google is looking at pagespeed and accounting for it in it’s search algorithm, I thought it would be helpful to provide more pagespeed insights related to how you should be testing it on your site. Testing your pagespeed is actually something that can be really helpful; as we’ve all heard Google talk about how important it is; especially when they’re pushing more and more sites toward AMP (accelerated mobile pages). But, it’s really important to understand how this should be done correctly, or you could be potentially wasting your time — or worse — shooting yourself in the foot. First, if you’re not using a CDN, you totally should be. This will prevent slowdown of your site when calls are being made from places that are far away from where it’s hosted. If you don’t have a CDN, that means your site speed will vary depending on where/how someone is accessing your site, no amount of calculating is going to get you a metric you can rely on. Second, realize that if your site runs through a proxy during any kind of a test that most free pagespeed tools won’t produce accurate results. Testing from one location (even using a VPN) will not give an aggregated score from all visits or any insight into the impact the result will have on user experience and rankings. Finally, don’t just type your page URL into your address bar and expect that your personal site experience is the same of your visitors from across the world ( I probably should have said this first). Most of you probably already know this, but I thought it was worth mentioning. Looking at your Google Analytics or Search Console can provide better insights as to spikes and improvements than most other tools out there, and this really where you should start for managing raw pagespeed. Dive deeper into how to measure your actual page speed and improve your page speed scores in this article. Now, this is where it is important to point out that Google’s search algorithm is — almost certainly — looking at call times between where the user is accessing your site and the time that it loads. However, it is a small part of the overall equation. Some of the most important factors in determining if your site is fast enough are the UX metrics we talk about quite a lot. Things like, bounce rate, time on site, and pageviews per visit. These are core metrics for just about everything on your site and should be evaluated just as close as page load speed, if not much closer. You can read more about how to properly measure these metrics here. You can see in this chart above, UX metrics often carry far more weight with Google than an arbitrary pagespeed number that may be incrementally higher or lower. In the above chart, a site saw a small increase in their page load time but was able to improve bounce rate and session duration, resulting in some major organic search gains. You could potentially argue that maybe the bounce rate and time on site of this particular site were not the sole contributing factors to the sites organic search improvement; however, the fact remains that page load speed increased and the site continued to grow organically despite the change. Exit pop-ups are a great example of this (I talked about what they are at the bottom of this post). For some sites, exit pop-ups can increase pageviews per visit and help grow a newsletter base; while engaging your audience more. They almost always slow down your site, but may massively improve your site marketing (and ultimately improve UX metrics). This means the juice is often worth the squeeze. The truth is always in the numbers. Google did a great job breaking these down recently when they talked about AMP (see video below). There are pagespeed thresholds that users can’t deal with that will ultimately make them bounce (in terms of seconds it takes for the page to load), but these can largely be mitigated pretty easily. The truth is, most sites can get their pages tuned-up following the basic Google best practices guide. However, if you’re struggling with this and are absolutely sure it is causing major site issues, there is another way. Are you ready to go AMP? If you think pagespeed is directly affecting your UX metrics (or they are absolutely abysmal and you don’t know how to tune your site up yourself), then converting some of your pages to AMP may not be a terrible idea. Remember, just implementing AMP to improve an arbitrary pagespeed insights score is not really a great reason to make the switch. AMP sites traditionally have seen a pretty strong organic rankings boost, and Google has been very clear that they believe this is because of it’s UX improvement, not necessarily its impact on a pagespeed insights score. Also keep in mind, AMP is only designed for your mobile users, so you cannot completely count on it to solve all of your problems. However, while you may still do everything for your site on desktop (because it’s easier), there’s a good chance that the majority of your users are on mobile so AMP could still be a strong net positive for your site. AMP Considerations: Revenue results with AMP appear mixed so far. Some site’s make more money, some might make less. 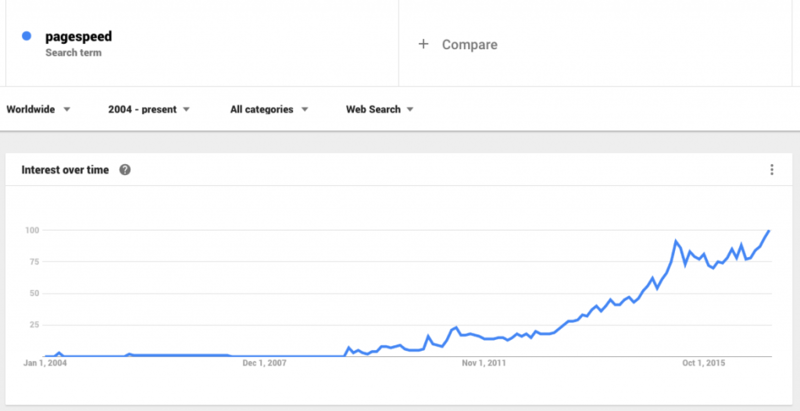 They are uber-fast; as you might expect and appear to do well in search results. You can read the “moving to AMP” guide we posted for publishers here. If you’d like to test this out, you can use a Google AMP Converter built for publishers by a Google Certified Publishing Partner using the link. What pagespeed insights are the most important for my site? As we demonstrated in one of our examples above, UX metrics (bounce rate, session duration, and pageviews per visits) are king. Small fluctuations in web page speed are very unlikely to have any affect on search rankings as long as these metrics are improving. In almost every case, a site that is able to improve UX metrics will mitigate any small site slowdown issues. 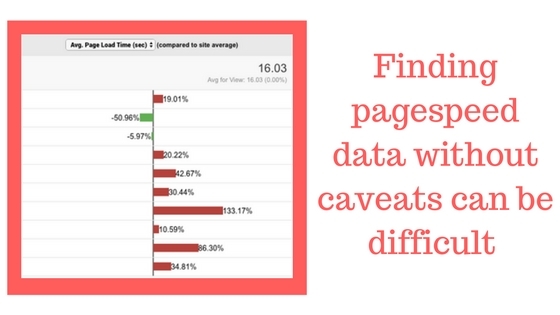 However, if a site is struggling with UX metrics due to site speed, it is worth digging into this deeper by looking at Google best practices for pasgespeed insights. Ultimately, on mobile, sites may want to opt for a solution like AMP to completely remove this as a concern (as AMP will make your pages lightning fast). But be forewarned, there are multiple things to consider before going all-in on AMP. 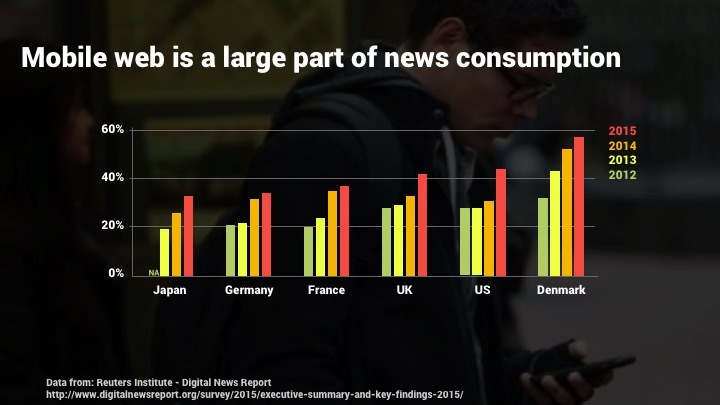 At the end of the day, it goes back to the quote from the famous (or infamous) Gary Illyes at the top, “it all comes down to context, content … and user experience”. This has been Google’s pagespeed stance since the beginning. 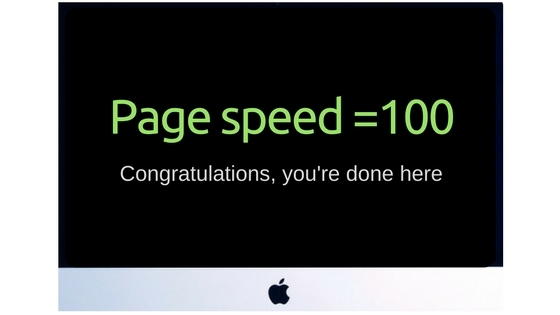 Whats you thoughts on page speed vs UX? i have a current clients site that is fast overall, but the pagespeed insights tool is suggesting (amongst other things) loading webfonts async. Doing this does give a better result from the tool, but causes the site to load with default font for a half second which looks bad, and doesnt in my opinion appear to load visibly faster. I think the overall UX is more important, but would like a second opinion. Actually delivering content to visitors in an acceptable and speedy format to them MATTERS WAAAAY MORE THAN WHAT SOME TOOL SAYS. Google has said this is how they measure it, by visitor experience, not by any actual pagespeed measurement metric or tool. Pagespeed Insights is actually probably causing a lot of publishers to do some counterproductive development on their sites. That post is really useful, and confirms my initial thoughts. Nice post. Better than most of the publishing advice out there. Pagespeed in a bubble doesnt makes sense. I liked your article on page speed. Thank you for your beautiful presentation.We know the website will be as fast as Google will look better on our site, and will rank our site very quickly. Thanks Tyler. I’m actually looking actively at how to have Ezoic CDN and Caching app working for my site. Would be great to get an article about that, as you actually mention it in your December video as well. Yoann, what are you having trouble with? If you have any difficulty with setup, email support@ezoic.com. I’ll leave a note to the team there for you. They can usually help with this stuff really quickly.